In the present smartphone industry, the word ‘flagship’ gets besought so often that the term has largely lost its significance. 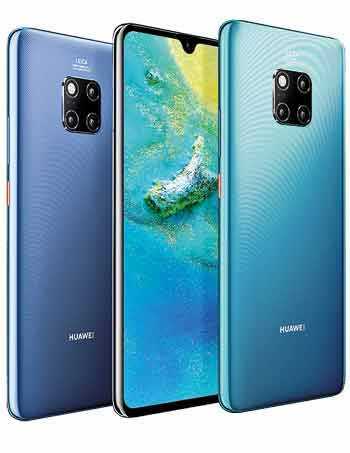 Yet, Huawei’s recent string of high-end devices; Mate 20 series summons a significant gush of fresh air to the market. The flagship features of the choices fronting the series, which are Huawei Mate 20, Huawei Mate 20 Pro and Porsche Design Huawei Mate 20 RS has ended up being a lot more innovative, especially in the camera sphere than anticipated. The Huawei Mate 20 has set a big stride forward for the camera phones, allowing the users to experience an enhanced versatile camera. The 4 point Camera System includes 16mm Leica Ultra Wide Angle Lens that lets wider perspective create a sense of spaciousness and 3D effect to the images. Macro distance, which produces crisp images of objects that are placed as close as 2.5cm from the lens. The added ultra-wide angle lens and macro support completes the feature set of the camera system, elevating it to a truly all-round camera that is ready to capture any and all action. In addition the Huawei Mate 20 Pro is equipped with a 40MP main lens, a 20MP ultra wide-angle lens, and an 8MP telephoto lens. Together, the trio of lenses supports a wide range of focal lengths (equivalent to the performance of a 16-270mm zoom lens), enabling it to mimic the results from professional cameras. If you’re after the best in smartphone photography, the Huawei Mate 20 Pro sets the bar. Yet it holds its own on other fronts that serve to propel it to the top of the category. The Huawei Mate 20 Series comes with EMUI 9.0, a smart operating system based on Android P. EMUI 9.0 incorporates a unified, ergonomic design and a streamlined settings menu. The new gesture navigation support, AI features, 3D Live Object Modelling, long lasting strong battery, recharging capability, and memory capacity work in tandem to provide users with the best smartphone experience. The Mate 20 series devices comes with a one year warranty and will be available for consumers at all Huawei Experience Centres with Sri Lanka’s leading smartphone marketer, Singer Sri Lanka PLC ensuring the availability of the Mate 20 series devices island wide. Selected Dialog and Mobitel outlets would also market the new devices with the Huawei Mate 20 priced at Rs. 124,999 and Huawei Mate 20 Pro priced at Rs. 174,999. The designs are available in 6GB RAM + 128GB ROM configuration and Porsche Design Huawei Mate 20 RS with 8GB RAM + 256GB ROM is priced at Rs. 299,999 for customers in Sri Lanka. In Sri Lanka, Huawei has succeeded in securing the number one position in smartphone sales according to recent GfK reports. In 2018, Huawei was ranked 48 on BrandZ’s Top 100 Most Valuable Global Brands, number 79 in Forbes World’s Most Valuable Brands and number 25 on the Brand Finance Global 500 Most Valuable Brands lists. Huawei has also achieved the No. 68 status on Interbrand’s Best Global Brands list in 2018 and ranked No. 83 on Fortune 500.